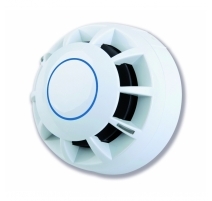 Compatible with all Hush-Pro detectors. LPCB certified to the relevant parts of EN54 pending in conjunction with our Hush-Pro detectors. Can be ceiling mounted in any orientation due to the true 360° degree viewing angle of the LED indicator strips on all Hush-Pro detectors. 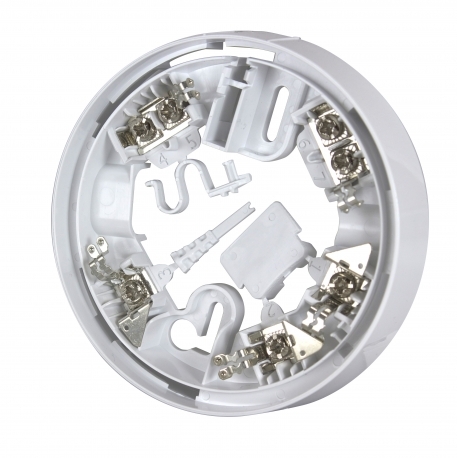 Optional HP408R Hush-Pro relay base also available. Approvals/certifications Certified to the relevant parts of EN54 by the LPCB pending as part of our Hush-Pro fire detector certifications. 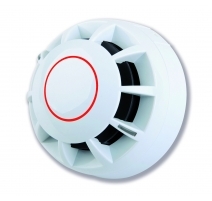 Compatibility Compatible with all Hush-Pro fire detectors. Connections (1) +V In, analogue switch; (2) +V Out, analogue switch; (3) Remote LED +V; (4) 0V; (5) 0V; (6) Screen; (7) Screen. Terminals can accept up to 2.5mm cable.